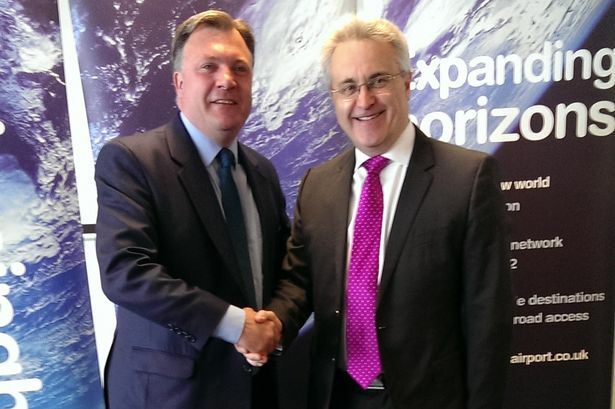 Shadow Chancellor Ed Balls has pledged he too would extend Birmingham’s city centre enterprise zone to Curzon HS2 Station if the Labour Party is in government after the General Election. Business leaders welcomed an earlier vow from George Osborne to extend the enterprise zone – which would open up the door to borrowing the hundreds of millions of pounds needed to regenerate the city centre around that area and create thousands of jobs. The Curzon regeneration offers an opportunity to create 36,000 jobs and inject £1.4 billion a year into the city economy – as well as vital work to break down the concrete collar stifling the east side of the city. The enterprise zone extension is crucial in terms of getting work started as it allows for millions of pounds worth of borrowing on the back of future business rates around the station. Already, £275 million has been raised by borrowing against future business rate uplift which has helped get Birmingham’s Paradise Circus scheme off the ground. Asked if he too would extend the city centre enterprise zone Mr Balls told the Post: “Of course - why not - to make sure the city centre continues to expand and thrive and that we continue to promote more investment and more good jobs. Andy Street, chairman of the Greater Birmingham & Solihull Local Enterprise Partnership and Liz Peace, chairman of the Birmingham Curzon Regeneration Company Shadow Board, have said extending the enterprise zone is key to the development of the Curzon area. Hodge Hill Labour MP Liam Byrne has been a passionate advocate of the enterprise zone extension and had said he expected his party would support it. Mr Byrne was one of the architects of tax increment financing, or TIF, which led to borrowing of this nature in the regions. He said: “Because it is a TIF model where you can borrow against future increases in business rates. During his visit to Birmingham Mr Balls also reiterated Labour’s commitment to the first phase of the HS2 line linking Birmingham and London - but not at any cost. He said: “We support HS2 and I want to go ahead with the first phase but we have been very clear all along there is not a blank cheque. “The legislation is still going through and we need to make sure the costs are properly controlled and I believe George Osborne and the Treasury have been asleep at the wheel. “It is not his job to be a cheerleader for it but to make sure it is properly controlled. During his visit to Birmingham Airport Mr Balls took part in a round table event with Midland business leaders. During it he stressed the importance of devolution for the West Midlands but pledged to allow local civic leaders to decide on the model they wanted and said he would not make funding packages dependant on having an elected mayor. He said: “If all of you decide the accountability structure you want to go for is an elected mayor then that’s fine. “What I don’t want to do as Chancellor is say you will only get the money if you sign up to my view of political accountability.